MSDSonline is presenting on a BLR webinar that will update EH&S professionals on government recommendations stemming from a new federal progress report on Executive Order 13650: Improving Chemical Facility Safety and Security. The webinar — Chemical Safety and Improvements: Compliance Strategies for Getting PSM, RMP & CFATS Regulations Right — will take place on Thursday, November 6, 2014, at 1:30pm. A registration fee is required. 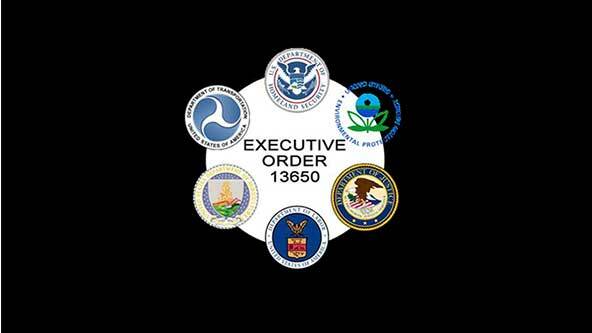 Executive Order 13650 was issued in August of last year to improve the safety of those who work with (and live in proximity to) hazardous chemicals, and also to ensure the security of those chemicals. The Chemical Facility Safety and Security Working Group implementing this executive order is co-chaired by the Department of Homeland Security, the Department of Labor, and the Environmental Protection Agency — and also includes members representing several other federal entities and departments. The government’s continued attention to the progress of Executive Order 13650 underscores the federal commitment to creating meaningful improvements in chemical safety that result in tangible reductions in hazard risks. Make sure your organization is prepared for the changes ahead. For more information on the Executive Order 13650 Working Group, you can visit the OSHA webpage here. For more information or to register for the November 6 webinar, click here.